"[The victims] were told that only those who get castrated will be able to meet God," said Chauhan's lawyer, Navkiran Singh, according to the Sydney Morning Herald. Chauhan, 35, filed a petition against the guru in 2012 and the Central Bureau of Investigation has started looking into claims dating back as far back as 2000 in preparation of charges of grievous bodily harm. However many followers are believed to be in fear of speaking out. Singh denied the accusations back in January telling the Daily Mail that "such allegations disturb me, when I am doing good for humanity. Therefore me and my legal advisor are going to move the court challenging the allegations." 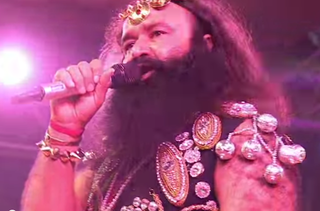 The castrations, according to the Independent, took place in a Hospital owned by Singh's spiritual group, the Dera Sacha Sauda (DSS).